Expect something intriguing when lead vocalist and guitarist, Apakuki Nalawa takes the stage with Inside Out in two weeks. Inside Out is one of the 12 artists and bands confirmed for the much anticipated Thurston Food and Music Festival on July 15. Mr Nalawa said they were super excited to be one of the pioneers of this wonderful event. At the beginning of this year the band launched their new Extended Play (EP) titled “Let Music Play” consisting of seven songs all written by Apakuki. The new songs are a fusion of reggae and rock. Doing originals and coming out with the album was always the ultimate goal for the band. “Don’t miss out on this opportunity to witness great vocal and international talents. Do support your artists and food vendors by coming down, it definitely will be fun,” they said. 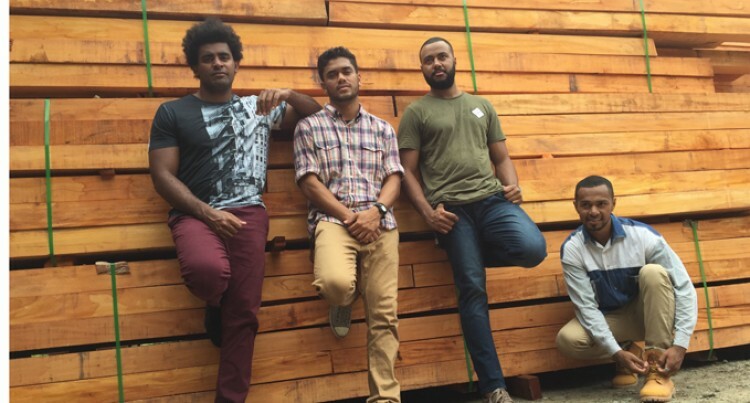 The Suva based band is made up of four members: Apakuki Nalawa-lead vocals/guitar, Timothy Solomon bass, Semesa Vilise cajon/backing vocals, and Viliame Dautei drums/ and backing vocals. You can catch Inside Out at the Chill on Carnavon St every Wednesday from 6:30pm and you can get more information about the band on their Inside Out Facebook page. The Thurston Food and Music Festival will be held on July 15 (Saturday) at Thurston Garden, Suva. About 1,500 people are expected at the festival. It is the first major event by Knox Entertainment. Admission is free for children under 12 years.